The US Navy has christened the first of a new class of nuclear-powered aircraft carriers, the 13-billion-dollar USS Gerald R. Ford. The ship, hailed as the most technologically advanced ever built, is expected to join the fleet in 2016. The ship is the Navy's first carrier designed in more than 40 years. The Ford-class aircraft carriers will replace current Nimitz class that was launched in 1972. The Ford is projected to stay in service until 2057. 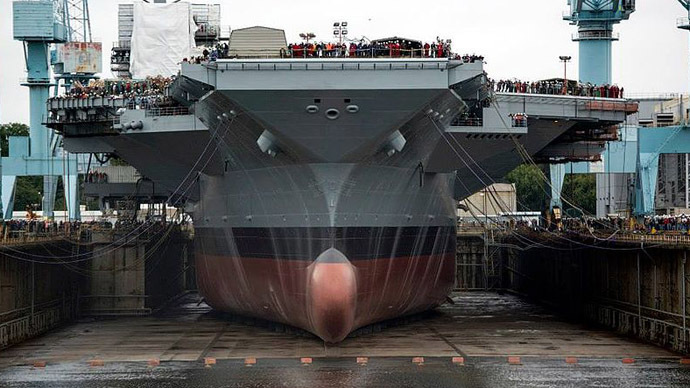 The ship, named after US President Gerald Ford, was christened at the ceremony at Huntington Ingalls Newport News Shipbuilding in Newport News, Va. on Saturday. The new aircraft carrier is planned to replace the USS Enterprise (CVN-65). The former president’s daughter, Susan Ford Bales, who was also the ship's sponsor, performed the ceremonial breaking of a bottle of champagne on the ship's bow in front of more than 20,000 sailors, shipbuilders and civilians. The ceremony comes after more than 12 years of planning and construction. "The carrier is our Navy's most adaptable platform," Adm. Jonathan Greenert, chief of naval operations, said, calling the Ford a “technological marvel”. "Ford will herald a new era of our carrier fleet," he added. Stretching 330 m (1,092 feet) long, the ship will feature a new nuclear power plant, a redesigned island, electromagnetic catapults and improved weapons movement. The carrier will be able to carry more warplanes and launch 25 per cent more air missions per day than the current carriers. The US Navy required the carrier to support up to a maximum of 220 sorties a day in times of crisis and intense air warfare activity. 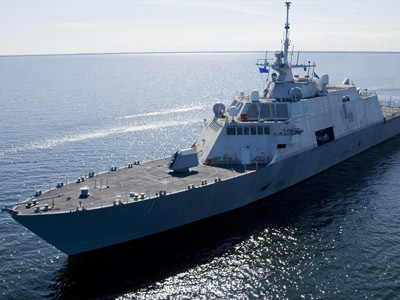 The new craft will accommodate almost 4,500 crew members, compared to the average 5,500 people operating a Nimitz class carrier, and up to 90 aircrafts along with unmanned combat air vehicles (UAVs). The USS Gerald Ford will be equipped with two newly-designed reactors and will have 250 percent more electrical capacity than previous carriers. This will also support a cruising speed over 30 knots. Requiring 1,000 fewer crew members and 30 per cent less maintenance over its 50-year lifespan, the Ford is said to let the US Navy save $4 billion. 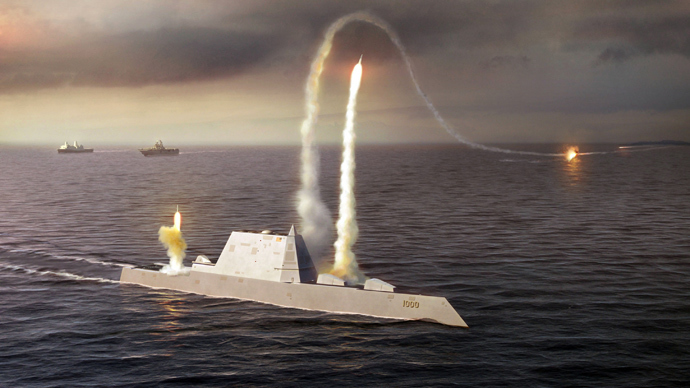 While the Navy praises this as another significant advantage, critics say, the cost of building the ship has already skyrocketed. With the carrier now 70 per cent complete, construction costs are about 22 per cent over the over the scheduled budget. 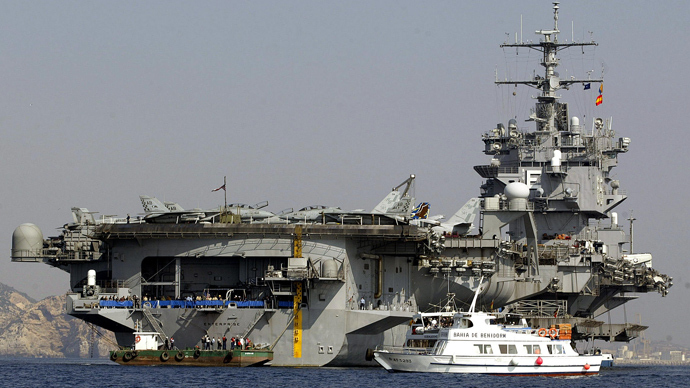 The high price still will not guarantee that after it is commissioned in 2016 the carrier will not face “significant reliability shortfalls”, as the Government Accountability Office, an investigative arm of Congress, said in September. 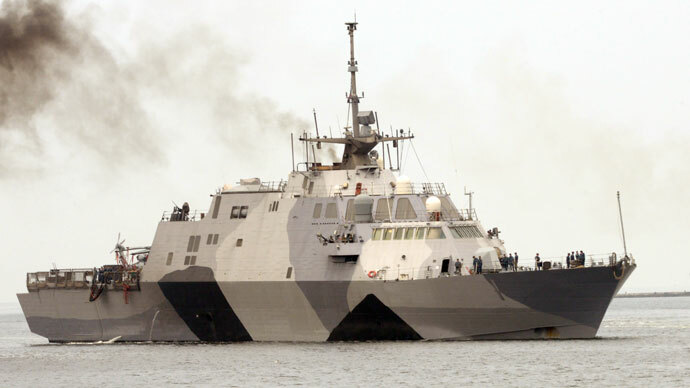 This may limit the ship's mission effectiveness and increase the government’s costs even more.